Open House Sunday Oct. 28 @ 1 to 2pm Auction Is On BID NOW! Neighborhood is up and coming !! These Bidder Terms and Conditions apply to the Auction for the sale of real property location Parcel: 010-059997 Address: 1515 Minnesota Ave. Columbus, OH 43211. This auction will be conducted by Schillig Estates And Auctions with Coldwell Banker King Thompson (Broker) 175 S Third St. Columbus, OH 43215 (“Auctioneer”). These terms constitute a legal, valid, binding, and enforceable contract between Auctioneer and each Participant, Bidder, Buyer and/or attendee at the Auction. 1. License. Cynthia Schillig 2008000073 is an Auctioneer licensed by the Ohio Dept. Of Agriculture, 8995 E Main St. Bldg 1, Reynoldsburg, OH 43068 and being a member of the state Auction Recovery Fund. Cynthia Schillig licensed for Real Estate by the state of Ohio Dept. of Commerce 2008001253. The Broker of record is Coldwell Banker KING THOMPSON. 2. The Auction is conducted in accordance with these Bidder Terms and Conditions. By participating in the Auction, whether at the auction site, online, or though any other means (including Absentee Bid), each Participant agrees to be bound by, and to abide by, these Bidder Terms and Conditions. “Absentee Bid” means a bid submitted to Auctioneer by a Bidder (who may or may not be in attendance at the Auction Site), along with a request that the bid be executed on behalf of the Absentee Bidder during the Auction. “Absentee Bidder” means a person or entity (who may or may not be in attendance at the Auction Site), who has submitted an Absentee Bid. "Agency" means the declaration of all parties describing duties and identifying licensed agents, as required by law. All parties must sign this document prior to bidding. For purposes of Auction the Auctioneer may only represent the Seller. “Auction” means the public auction sale at which the Property is offered for sale, Online or Onsite, or is scheduled to be offered for sale, and at which Auctioneer solicits bids, or is scheduled to solicit bids, for the Property. “Bidder” means any person or entity that tenders a bid at the Auction, whether in person, by proxy, by telephonic communications, online, through an Absentee Bid, or otherwise. “Bidder Terms and Conditions” means these Bidder Terms and Conditions, as amended from time to time. “Buyer” means the person or entity (including any successor or assignee) making the Winning Bid for the Property, and entering into the Realty Purchase and Sale Agreement. "Buyer's Premium" is an amount, calculated as a percentage of the Hammer Price, that is payable by the buyer to Auctioneer for Auctioneer's own account. The Buyer’s Premium for the purposes of 1515 Minnesota Auction will be ten percent (10%) of the Hammer Price or $5500.00 (five thousand five hundred dollars) whichever greater. “Deposit” means the non refundable money that the Buyer must pay to Auctioneer on confirmation of the Winning Bid. The Deposit will be in an amount equal to ten percent (10%) of high bid or $5500.00 (five thousand five hundred dollars) which ever greater for the purposes of 1515 Minnesota 43211 Auction. "Due Diligence" means an investigation of a business, person or transaction prior to signing a contract or act with a certain standard of care. “Fall of the Hammer” the point, after bids have been received on the Property at which bidding is terminated and Auctioneer recognizes the high bid to be submitted for Seller Confirmation. On the Fall of the Hammer, the High Bidder will sign the Realty Purchase and Sale Agreement. “Hammer Price” means the price established by the highest bid at the Fall of the Hammer. “No Sale” means that the Property has been offered at the Auction but was not Struck Off or sold (i) because no bids were accepted, (ii) because the Reserve Price was not met, or (iii) because of some other reason except for Seller’s breach of this Agreement, and either (i) bidding, or the solicitation of bids, ended by Auctioneer’s declaration of a “No Sale” using that specific term, or (ii) Auctioneer concluded the Auction, in its entirety, without the Property having been Struck Off. A No Sale does not occur if (i) bidding is suspended without the express declaration of a “No Sale” or (ii) the Property is not Struck Off or sold due to Seller’s breach of this Agreement. “No Sale Fee” means the fee payable to Auctioneer by Seller on the occurrence of a No Sale of the Property. “Private Sale” means event in which Property is sold by Seller, or on Seller’s behalf, other than at the Auction (including a sale at an auction conducted by a person or entity other than Auctioneer). “Private Sale Price” means the fair market purchase price of the Property paid, or agreed to, at a Private Sale in an arms-length transaction between Seller and a buyer. If the Property is sold through a Private Sale for less than its fair market value, or in a transaction that is not an arms-length transaction, or is gifted by Seller, the Private Sale Price, for the purposes of this Agreement, will be an amount equal to the fair market value of the Property in an arms-length transaction. “Property” means the real property, located at the advertised address and parcel advertised. Purchase Price” means an amount equal to the Hammer Price plus the Buyer’s Premium as described in the Purchase Contract. "Property Disclosures" means statements of conditions of property as provided by the Seller to the best of their knowledge. “Realty Purchase and Sale Agreement” means the contract between Seller and the Buyer setting forth the terms and conditions for the sale of the Property. The Realty Purchase and Sale Agreement will be on a form provided by Auctioneer unless a different form is provided by Seller or Seller’s attorney. “Registered Bidder” means a person or entity that has registered to bid at the Auction and has been issued a Bidder Number. “Registration Deposit” means good faith deposit, made by a Registered Bidder. “Reserve” or “With Reserve” refers to circumstances under which a seller of property offered at auction reserves the right to accept or decline any and all bids prior to the Fall of the Hammer. “Seller’s Confirmation” means Seller’s confirmation, approval, and acceptance of the high bid acknowledged by Auctioneer with the Fall of the Hammer. Seller’s Confirmation is a condition of the Realty Purchase and Sale Agreement. “Settlement” means the time and place at which Seller sells, transfers, assigns, and conveys all of Seller’s right, title and interest in and to the Property to the Buyer, and at which the Buyer pays the Purchase Price in full. "Struck Off" or "Strikes Off" means the event at the Auction in which Auctioneer acknowledges the Winning Bid with the Fall of the Hammer, or by announcing "sold", or by giving a similar such indication. The Property may be Struck Off electronically at the conclusion of a timed online auction event. “Winning Bid” means the highest bid for the Property that has been (i) received and accepted by Auctioneer, and (ii) Confirmed by Seller. 5. Buyer's Premium. The Property is offered subject to a 10% Buyer Premium of high bid or $5500 (five thousand five hundred dollars) whichever greater, which will be paid by the Buyer to Auctioneer/Coldwell Banker King Thompson Trust. The Buyer's Premium will be added to the Hammer Price to determine the final Purchase Price of the Property and will be collected at closing. 6. Participants are Licensees. Participants (whether in attendance at the Auction Site or participating remotely) are licensees and assume all risks associated with their presence at the Auction Site or their access to the online bidding platform utilized by Auctioneer. Any person may, in Auctioneer’s discretion, be denied access to the Auction, the Auction Site, and the online bidding platform utilized by Auctioneer, and may be removed there from. Auctioneer may refuse to accept a Bidder Registration from any potential Bidder, may refuse to issue a Bidder Number to any potential Bidder, and, if a Registered Bidder breaches any Bidder Terms and Conditions or engages in improper conduct, Auctioneer may revoke any Bidder Number. By registering to bid at the Auction, each Registered Bidder acknowledges and agrees that such Registered Bidder has read, understands, and agrees to be bound by, these Bidder Terms and Conditions. At the discretion of Auctioneer, bids may be received from a person who has not registered to bid, and/or who has not satisfied all requirements for Bidder Registration, and/or who has not been issued a Bidder Number, provided that such person immediately completes a Bidder Registration, is issued a Bidder Number, and agrees to be bound by these Bidder Terms and Conditions. 8. This auction is offered with a Reserve and/or Subject to Seller’s Confirmation. The Property is offered such any bid may be rejected, and the Property may be withdrawn by Auctioneer, at any time before the Fall of the Hammer. Once the high bid has been acknowledged by Auctioneer with no further advancement, the hammer will fall on such bid for the purpose of identifying it as the high bid. The high Bidder must, then, execute the Realty Purchase and Sale Agreement and deliver the Deposit to Auctioneer. 9. Bidding. Registered Bidders may only bid at the Auction by agreeing to be bound by these Bidder Terms and Conditions. By bidding, each Registered Bidder acknowledges and agrees that such Registered Bidder has had a full and fair opportunity to read, and understands, these Bidder Terms and Conditions, and affirms that such Registered Bidder is subject to and bound by these Bidder Terms and Conditions. 10. No Bid Retraction. No Bidder may retract a bid that has been acknowledged by Auctioneer. Further to the foregoing, each Bidder acknowledges and agrees that Auctioneer is acting in reliance on tendered bids in the conduct of the Auction, and that bid retraction is disruptive and interferes with the Auction, and that, as an inducement for Auctioneer to accept such Bidder’s Bidder Registration and for such Bidder to bid at the Auction, each Bidder agrees not to withdraw or to attempt to withdraw any tendered bid that has been acknowledged by Auctioneer. 12.1. Online Bidding Registration. Any Registered Bidder desiring to bid online, or to establish the possibility of bidding on line, is required to create an online bidding account by completing all necessary online forms and providing all required information. 12.2. Auction Site Notices and Announcements. Any Registered Bidder participating at the Auction online is responsible for becoming aware of all notices and announcements made or given at the Auction Site, or as otherwise published on Auctioneer's website. 12.3. Posted Times. All times are based on the Eastern Standard Time zone unless stated otherwise. Any posted closing times and time displays at the Auction Site and online are approximate. Auctioneer reserves the right to close early or extend the Auction at any time at its sole and absolute discretion. 12.4. Responsibility for Online Bids. If a Winning Bid is sent to Auctioneer from the computer of a Registered Bidder, and is, thereafter, confirmed by Seller, such Registered Bidder will be the Buyer. 12.5. No Reduction/ Retraction of Online Bids. Online bids may not be reduced or retracted. 12.6. Online Bidding Increments. At Auctioneer's discretion, bid increments may be varied at Auction Site, Registered Bidders bidding online may only bid in whole bidding increments. 12.7. Competing Online and Onsite Bids. In the event of contemporaneously made online and onsite bids, Auctioneer will determine which bid is the successful bid, and the bid made at the Auction Site will generally take precedence. 12.8. Records of Online Sales. The record of sale kept by Auctioneer will be conclusive and final in all disputes, and otherwise. In the event of a discrepancy between any online records or messages provided to a Registered Bidder bidding online and the record of sale kept by Auctioneer, Auctioneer's record of sale will govern. 12.9. Technical Considerations. Auctioneer will not be responsible for errors or failures to execute bids placed over the internet, including, without being limited to, errors or failures caused by: (i) a loss of connection; (ii) a breakdown or problems with the online bidding software and/or (iii) a breakdown or problems with a Registered Bidder's internet connection, computer, or system. 12.10. Failure to Execute Online Bids. Execution of online internet bids is a service undertaken subject to other commitments at the time of the sale and Auctioneer does not accept liability for failing to execute an online bid or for errors or omissions in connection with this activity. 12.11. Disclaimer of Warranty and Release. Each Registered Bidder acknowledges and agrees that online bidding is at such Registered Bidder's sole risk, responsibility and obligation. Neither Auctioneer nor the Seller represent or warrant that the website will be uninterrupted, error free or virus free; nor do they make any representation or warranty as to the results that may be obtained from the use of the website, or as to the accuracy, completeness, reliability, security, or currency of the website. 13. Absentee Bids; Execution of Absentee Bids. Absentee bids may be accepted in Auctioneer’s sole and absolute discretion. Absentee bids may be executed by Auctioneer or by an employee, agent, representative, or independent contractor working with Auctioneer. The execution of an Absentee Bid will typically by commence at a percentage of the maximum amount of the Absentee Bid as determined by Auctioneer in Auctioneer’s sole and absolute discretion, and will be advanced competitively until the Fall of the Hammer or until maximum amount of the Absentee Bid is reached, whichever occurs first. Auctioneer will make all reasonable efforts to execute Absentee Bids, but active bidding by Bidders in attendance at the Auction may render the execution of an Absentee Bid impracticable. Neither Auctioneer not Seller will have any liability to an Absentee Bidder for the failure to execute an Absentee Bid. Each Absentee Bidder acknowledges and agrees that the Property may be sold to another Bidder for the maximum amount of the Absentee Bid based on a bidding sequence that causes another Bidder to reach the amount first. If the execution of an Absentee Bid at its maximum amount would require Auctioneer to accept a bid that is less than a full bidding increment, Auctioneer has the sole and absolute discretion to accept or reject such bid. An Absentee Bidder may authorize Auctioneer to advance the bid by one or more bidding increments after the maximum amount of the Absentee Bid is, or would be, reached. 14. Bid Increments and Timing. Bid increments are established and controlled by Auctioneer, and may be adjusted or modified in Auctioneer’s sole and absolute discretion. For purposes of this auction the increments will be $1000.00 (one thousand dollars) A 2 (two) minute interval is set for bidding with a 5 (five) minute auto extend after each bid is in place to prevent sniping. 15. (a) Registered Bidders are Responsible for Bids Placed on Bidder Number. Each Registered Bidder is responsible for the Bidder Number issued to such Registered Bidder. Auctioneer is not responsible for monitoring or policing the use of Bidder Numbers, and each Registered Bidder is responsible for all bids made on the Bidder Number issued to such Registered Bidder even if the Registered Bidder claims that the Bidder Number was lost, stolen, or misappropriated, unless notice of a lost, stolen, or misappropriated Bidder Number was provided to Auctioneer prior to an unauthorized bid being made. Absent a clerical error, Auctioneer’s recording of bids against a Bidder Number will be conclusive as to the making of such bid by, or on behalf of, the Registered Bidder. 15. (b) Brokers representing a Bidder must submit Agency and signed RPD & Lead and be received on or before 48 hr. prior to the start of auction closing (6pm EST, Oct. 24, 2018) DEADLINE, NO EXCEPTIONS. EMAIL TO: CindiSchillig@gmail.com. Bidder must not have had any contact with Auctioneer or Coldwell Banker KING THOMPSON prior to auction. Broker/Agent must always be present at all times including Open House events to qualify for 3% Co-Op of Hammer Price. 16. Withdrawal of the Property. Auctioneer has the right to withdraw the Property from Auction prior to Fall of Hammer. 17. Winning Bid; Buyer. Pursuant to these Bidder Terms and Conditions, the Bidder making the Winning Bid for the Property offered for sale at the Auction will be the Buyer of the Property. 18. Property Sold “AS IS”. THE PROPERTY IS BEING OFFERED AND SOLD IN IT’S “AS IS” CONDITION AT THE TIME OF THE AUCTION, WITH ALL FAULTS INCLUDING ANY HIDDEN DEFECTS OF ANY NATURE. NEITHER AUCTIONEER NOR SELLER MAKES ANY REPRESENTATIONS, WARRANTIES, OR GUARANTEES WHATSOEVER, EXPRESS OR IMPLIED, REGARDING THE NATURE, VALUE, SOURCE, AUTHENTICITY, FITNESS, MERCHANTABILITY, ZONING, AND/OR ANY OTHER ASPECT OR CHARACTERISTICS OF THE PROPERTY. NO STATEMENT ANYWHERE, WHETHER EXPRESS OR IMPLIED, INCLUDING VERBAL STATEMENTS MADE BY AUCTIONEER, WILL BE DEEMED A WARRANTY OR REPRESENTATION BY AUCTIONEER OR SELLER REGARDING THE PROPERTY. WITHOUT LIMITING THE GENERALITY OF THE FOREGOING, THERE ARE NO WARRANTIES OF TITLE, NON-INFRINGEMENT, MERCHANTABILITY OR FITNESS FOR A PARTICULAR PURPOSE, ALL OF WHICH ARE EXPRESSLY DISCLAIMED. EACH PARTICIPANT ACKNOWLEDGES AND AGREES THAT HE, SHE, OR IT CANNOT RELY, AND HAS NOT RELIED, ON ANY REPRESENTATION, WARRANTY, OR GUARANTY MADE BY THE SELLER OR ANYONE ACTING AS AGENT OF THE SELLER, ORALLY OR IN WRITING, ABOUT THE PROPERTY. 19. Announcements. Subject to the limitation set forth in Paragraph 18 of these Bidder Terms and Conditions, all terms and conditions and other announcements made by Auctioneer on the day of the Auction are binding and take precedence over any advertisements or listings. 20. Bidder’s Inspection. By bidding, each Bidder acknowledges and agrees that such Bidder has had a full and fair opportunity to inspect the Property, and is relying solely on, or has waived, such Bidder’s inspection and investigation (i) in determining whether to bid, (ii) in determining the amount of a bid, and (iii) in bidding. 21. Description of Property. Unless otherwise expressly stated otherwise in writing, any description of Property is based solely on visual impression, and is given solely for identification purposes, and does not create any warranty, expressed or implied, or representation by Auctioneer. 22. Zoning; Land Use. Neither Auctioneer nor Seller makes any representations or warranties as to the zoning of the Property or any other land use restrictions affecting the Property. It is the responsibility of each Bidder to make such inquiries and investigations as may be necessary to confirm the applicable zoning and land use restrictions affecting the Property. The purchase of the Property by the Buyer is not contingent in any way on zoning or land use restrictions, or on whether the Buyer may put the Property to any desired use. Each Bidder acknowledges and agrees that such Bidder is not relying on any representations by Seller or Auctioneer concerning zoning or other land use restrictions. 23. The Realty Purchase Sale Agreements and all pertinent documents to be electronically signed via Dot Loop immediately following auction. The Bidder making the high bid at the Auction will sign the Realty Purchase and Sale Agreement, with no other conditions or contingencies except the delivery of good and marketable title by Seller. The Realty Purchase and Sale Agreement is available for review prior to the Property being offered, and is incorporated in and made a part of these Bidder terms and Conditions. 24. Deposit. The Winning Bidder will make a Deposit in an amount equal to ten percent (10%) of the high bid or $5500.00 (five thousand five hundred dollars) whichever greater. The Deposit must be paid, via Wire Transfer for the purposes of the, 1515 Minnesota 43211 Auction. 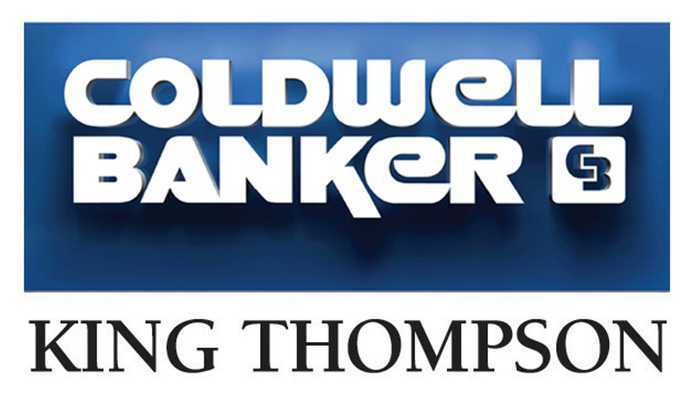 Auction Wire Transfer to Coldwell Banker KING THOMPSON trust account is required. This deposit is non-refundable except in the case of title. 25. No Buyer Conditions or Contingencies Except for Title. There will be no Buyer conditions or contingencies for financing or otherwise to the sale of the Property except that Seller must deliver good and marketable title to the Property. 26. Breaks. Auctioneer may take breaks or recesses during the bidding on the Property, and such breaks or recesses will not terminate the bidding unless expressly stated. Auctioneer may suspend bidding on the Property without declaring a No Sale of the Property. A No Sale of the Property will only occur if Auctioneer declares a No Sale in those terms, or if the Auction concludes in its entirety without the Property having been sold. If announced by Auctioneer, the Auction may continue for a stated period of time, during which period Auctioneer may receive bids in person, telephonically, electronically, or by other means. 27. Auctioneer’s Discretion in Reopening the Bidding. If (i) a bid is made while the hammer is falling in acceptance of a prior bid; or (ii) promptly after the Fall of the Hammer, Auctioneer is made aware of a bid that was unnoticed prior to the Fall of the Hammer, and it is demonstrated to Auctioneer’s satisfaction that such bid was, in fact, made prior to the Fall of the Hammer, Auctioneer may, in Auctioneer’s sole and absolute discretion, reopen the bidding. 28. Settlement. Closing shall be located and through Associates Title Inc.
29. Transfer or Recording Tax. Any applicable realty transfer tax or recording tax Realty Transfer Tax will be apportioned as set forth in the Realty Purchase and Sale Agreement. 30.1. Seller’s Breach. If Seller breaches any of Seller’s obligations, Buyer’s sole and exclusive remedy will be return of the Deposit and other monies actually paid by the Buyer. Under no circumstances will Auctioneer or Seller be liable for incidental or consequential damages, including, without being limited to lost profits or reduced productivity. 30.2. Buyer’s Breach. If Buyer breaches any of Buyer’s obligations, Buyer shall forfeit the Deposit and any other monies actually paid to Seller or Auctioneer, and shall pay all of Seller’s and Auctioneers costs and expenses (including reasonable attorneys’ fees and costs of litigation). If the Property is subsequently offered for sale (at auction or otherwise), Buyer shall be responsible for any and all costs and expenses incurred with respect there to, including, without being limited to, advertising and labor. Buyer shall also be responsible for any shortfall between the Purchase Price established at the Auction and any subsequent lower purchase price for which the Property may be sold. 31. Conduct of the Auction. Auctioneer will regulate all matters relating to the conduct of the Auction and Auctioneer’s decision will be final and binding. Any dispute arising as to any bidding will be settled by Auctioneer who may, but will not be required to, re-open the biding. 32. Returned Checks. Any checks that are returned unpaid will be subject to a returned check fee in the amount of $40.00. In addition to the foregoing, Auctioneer will be entitled to recover, from the issuer of a returned check, all costs and expenses, including attorneys’ fees, for the collection of payment made in the form of a check that has been returned unpaid. 33. No Stop Payment Orders or Credit Card Charge-Backs. Each Bidder agrees that such Bidder will not, under any circumstances, (i) issue a stop payment order with respect to any checks issued at or in connection with the Auction, or (ii) initiate a credit card charge-back with respect to any purchases at the Auction. Each Bidder further agrees that if, in violation of these Terms and Conditions, a stop payment order is issued or a credit card charge-back is initiated, these Bidder Terms and Conditions will be conclusive evidence of the Bidder’s (i) waiver of any rights to issue a stop payment order or to initiate a credit card charge-back, and (ii) agreement not to issue a stop payment order or to initiate a credit card charge-back; and each Bidder acknowledges and agrees that on Auctioneer’s presentation of these Bidder Terms and Conditions to the bank, credit card company, or other financial institution against which a check was drawn or that issued the credit card on which charges were made, such bank, credit card company, or other financial institution will reverse any stop-payment order and/or deny any credit card charge-back, and will re-credit all amounts to or for the account of Auctioneer. If, in violation of these Bidder Terms and Conditions, a Bidder issues a stop payment order or initiates a credit card charge-back, such Bidder, even if successful, will remain liable for all purchases made at the Auction, and will be responsible for all costs and expenses, including attorneys’ fees, incurred by or on behalf of Auctioneer and/or Seller in challenging the stop payment order or credit card charge-back and in collecting payment for the Property purchased at the Auction. Each Bidder acknowledges and agrees that the covenant not to issue a stop payment order or to initiate a credit card charge-back is a condition to the issuance of a Bidder Number to such Bidder, and is being made as an inducement for Auctioneer to accept such Bidder’s Bidder Registration and to issue a Bidder Number. Each Bidder acknowledges and agrees that Auctioneer is relying on the covenant not to issue a stop payment order or to initiate a credit card charge-back in accepting such Bidder’s Bidder Registration and in issuing a Bidder Number. 34. Risk of Loss. The risk of loss or damage to the Property is assumed by the Seller until the date of closing, except for in the event of loss or damage to the property exceeding ten percent (10%) of the bid price, then Seller may elect to either repair the damages, provide credit at closing or to terminate the Purchase and Sale Agreement. 36. Private Sale. No Participant or Registered Bidder may offer to enter into a Private Sale for the purchase of the Property prior to or during the Auction. If the Property is not Struck Off at the Auction and Seller enters into an agreement to sell the Property within 90 days after the Auction, Auctioneer will be entitled to receive the Buyer’s Premium or an amount equal to the Buyer’s Premium. 37. Bid Pooling/Rigging. Bid pooling/Rigging occurs when Bidders collude to regulate, and artificially suppress, bidding in an effort to reduce the Hammer Price. Bid pooling is a felony. Anyone participating in bid pooling will be referred for prosecution. 38. Governing Law; Jurisdiction; Venue. These Bidder Terms and Conditions will be governed by and construed in accordance with the laws of the state of Ohio, including its statutes of limitations, but without regard to its rules governing conflict of laws. All claims, disputes, and other matters between the parties will be brought in the state or federal courts sitting in and for Franklin County, State of Ohio, which courts will have exclusive jurisdiction, and will be the exclusive venue, for any and all such claims, disputes, and other matters. By submitting a Bidder Registration and accepting a Bidder Number each Registered Bidder irrevocably and unconditionally (i) agrees that any claim, suit or cause of action relating to these Bidder Terms and Conditions, or the transactions contemplated hereby, will be brought in the state or federal courts sitting in and for Franklin County Ohio; (ii) consents to the jurisdiction of such courts for any such claim, suit or cause of action; (iii) waives any objection that such party may have to the laying of venue of any such claim, suit or cause of action in such courts; and (iv) waives any objection to the bringing of such claim, suit or cause of action in such courts on the grounds of forum non conveniens. 39. Attorneys’ Fees. If any Participant breaches his, or her, or its obligations under these Bidder Terms and Conditions, Auctioneer and/or Seller will be entitled to recover all costs and expenses, including attorneys’ fees incurred in. I acknowledge that I have received a property information package, including the Bidder Terms and Conditions. I have read, understand, and agree to the terms set forth in the packet, including the Bidder Terms and Conditions, as well as all information disclosed to me by Schillig Auctions and Coldwell Banker KING THOMPSON (the “Auctioneer”). I understand that the Cynthia Schillig (auctioneer) Coldwell Banker KING THOMPSON agent represents the Seller Only and the terms and rules of the Auction, including, without being limited to the Bidder Terms and Conditions, will be strictly enforced and that there will be no exceptions. I understand that the Property is sold “As-Is” and “With All Faults”, with no warranty or guarantee of any nature, absolutely no Buyer contingencies will be allowed, including to but not limited to: financing, environmental, zoning, property or system inspection, or any other issue. I have had an opportunity to inspect the Property prior to the Auction, and by signing this form, I acknowledge and agree that I have waived any and all rights to inspect the Property prior to the Auction. Further I agree to no inspections after Auction. I have had the opportunity to inspect the Property and I hereby waive any and all rights to a study period, including, but not limited to, feasibility studies, inspections, expert reports, opinions, etc., with respect to this Property. For property improved prior to 1978, I waive the right to a 10 calendar-day opportunity to conduct a risk assessment or inspection for the presence of Lead-Based Paint and/or Lead-Based Paid Hazards. Square footage dimensions and acreage are approximate and should be independently verified prior to bidding. Auctioneer, its agents and subagents, and the Sellers assume no liability for errors or omissions in this or any other property listing or advertising or promotional/publicity statements and materials. All information and dimensions were derived from sources believed to be correct, but are not guaranteed. Bidder shall rely on their own information, judgment, and inspection of the property. All auction day announcements take precedence over any previously printed material or any other oral statements made. I certify that I have sufficient funds to meet the Deposit and to pay for the full purchase price as stated in the attached Purchase Agreement. I certify that I have examined the attached Realty Purchase and Sale Agreement and all other related documents. I understand that this is a legally binding contract that is not contingent upon financing, contingencies, warranties, further inspections, appraisal, insurability, or any other issue. I understand that the Auctioneer has the right to reject any and all bids. The Auctioneer has the right to execute bids on behalf of Bidders and on behalf of the Seller. The Auctioneer may not execute bids on behalf of seller for Absolute Auctions. The Auctioneer has the right to withdraw lots from the auction at any time. The Auctioneer may advance the bidding at the Auctioneer’s discretion. If there are any disputes with respect to the auction and/or bidding process, the Auctioneer shall exercise sole discretion and may determine the successful bidder or re-offer and resell the property in dispute. All parties shall abide by the Auctioneer’s final decision. Online Bidders are required, for registration purposes to register with Full name, address,Phn #, Email and a valid credit card for verification of identity. The card will be processed by a third party for $5500.00 and immediatly reversed. The Auctioneer does not hold deposits on credit cards and ,has no access to that information. The Winning bidder] after completion of the Auction, agrees to deposit $5500 (five thousand five hundred dollars) via a wire transfer to Coldwell Banker King Thompson Escrow (non interest bearing) account by 10 am the following day (Oct. 31, 2018). Wire instructions are attached in Documents section. The final contract is subject to Seller’s confirmation and acceptance. On a case-by-case basis, Auctioneer may accept bidders to participate in the auction if all requirements set forth herein are not satisfied. I understand that if I am the highest accepted bidder as a result of the Auction, I will be required to complete and sign the Realty Purchase and Sale Agreement and all other pertinent documents immediately, which Realty Purchase and Sale Agreement is subject to Seller’s Confirmation, but to no other conditions or contingencies except Seller’s delivery of good and marketable title. I understand that a 10% of high bid or $5500.00 (five thousand five hundred dollars) whichever greater will determine the Buyer’s Premium that will be added to the highest accepted bid to reflect the Total Contract and Purchase Price. I also understand that the Buyer's Premium is an amount calculated as a percentage of the Hammer Price, that is payable by the Buyer to the Auctioneer through Coldwell Banker KING THOMPSON Trust account for the Auctioneer's own account. I understand that, with respect to the Auction of the Property referenced herein, Auctioneer and its representatives are working on behalf of the Seller, and Auctioneer assumes no fiduciary relationship, agency on behalf of any Bidder or Buyer, and no relationship of dual agency is established, intended, or inferred. Auctioneer may act to protect the Seller’s reserve, as an agent of the Seller, by bidding on behalf of the Seller. I understand that, if I am the winning accepted Bidder, I shall close and complete settlement on the Property on or before Nov. 8, 2018. If I, as Buyer, delay closing I will charged $100 (one hundred dollars) per calendar day. I, as Buyer, understand that I will be responsible for all related closing costs. Closing will be through Associates Title Inc. I have been advised If I default and do not complete settlement I hereby acknowledge that I have read and understand the Default paragraph of both the "Terms and Conditions" package and the Purchase Agreement; and acknowledge that my full deposit shall be forfeited to the Auctioneer, and that I will be liable for any and all other damages and expenses in relisting or selling the Property, along with the amount of any shortfall at a subsequent sale. By signing below, I hereby authorize the release of my Deposit to compensate Auctioneer for Auctioneer’s Commissions and Buyer’s Premium earned from the auction process and providing the opportunity to enter into the attached Purchase and Sale Agreement with Seller(s). If any conditions contained herein are not complied with by the Bidder, Auctioneer may, in addition to asserting all remedies available by law, including the right to hold defaulting Bidder liable for the full purchase price: (a) cancel the sale, retaining as liquidated damages any payments made by such bidder, (b) resell the Property at public auction or privately on seven days notice to such bidder, or c) take such other action as it deems necessary or appropriate. If Auctioneer resells the Property, the original defaulting Bidder shall be liable for the payment of any deficiency between the purchase price and all costs and expenses, the expenses of both sales, reasonable attorney’s fees, commissions, incidental and consequential damages, and all other charges incurred hereunder. In any event, all sums of money paid by Bidder toward the Deposit/Buyer’s Premium, shall be retained by Auctioneer and disbursed solely at the discretion of Auctioneer. I certify that I represent myself as the Buyer. Further, I shall hold harmless and indemnify Auctioneer, its agents and assigns, the Seller, and Seller’s agent(s) from any and all claims, costs or expenses, including reasonable attorney’s fees, which may arise out of my actions or in-actions or representations made by me in connection with this Auction/sale of this Property. By registering with Schillig Estates and Auctions and offering a bid, I certify that I have thoroughly read and understand the above pages of statements and understand that by signing below I accept and agree to all of the terms set forth herein.